Obsidian Entertainment's upcoming title The Outer Worlds is getting a PC release by way of the Epic Games Store. Obsidian Entertainment's The Outer Worlds will be available via the Epic Games Store for PC owners when it makes its debut. During the 2019 Unreal Engine Keynote, it was announced that game will launch exclusively on the Epic Games Store for PC players. The Outer Worlds will also be available on the Windows 10 store for a simultaneous launch on the Epic Games store. It will then arrive on Steam one year after launch. The Outer Worlds was first announced during The Game Awards 2018, and it is the next project from the folks who brought us Pillars of Eternity and South Park: The Stick of Truth, in tandem with the publisher Private Division. It's a single-player RPG set in the space colony of Halcyon, where your protagonist has spent the last seven years in cryogenic sleep. There's a conspiracy threatening the whole of Halcyon, and as such players have to work with different planetary factions to save their colony. But instead of building up their character with cool new abilities, players can give them "flaws," with adding these weird types of perks to their characters being encouraged throughout the way. "Obsidian is crafting an adventure filled with narrative possibilities and replayability. The Outer Worlds looks to be a game filled with different gameplay paths and raucous humor. Yes, I heard the words "diet toothpaste" at some point during this developer demo. There's going to be much more to say about this game in the months ahead. The Outer Worlds is set to release in 2019 on PC, PlayStation 4, and Xbox One." 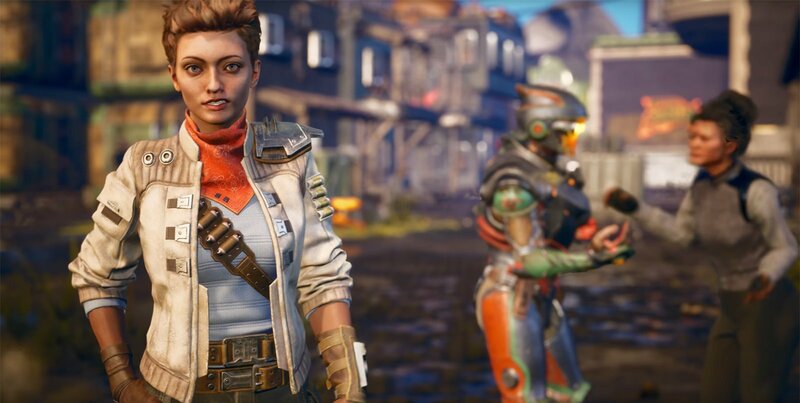 Currently, The Outer Worlds is targeting a 2019 release on Xbox One, PlayStation 4, and PC.